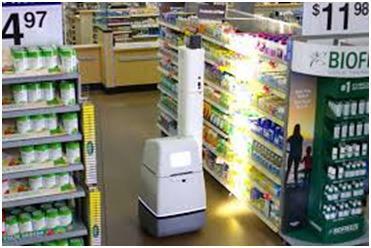 Bossa Nova Robotics is supplying Walmart with units to be tested in fifty stores as a pilot program. The specific models have been programmed to roam aisles and identify and record products that appear out-of-stock. Coupled with an information system the robotic system can monitor inventory more accurately than workers with scanners. Knowing what is on the shelves is becoming more important as click-and-collect purchasing patterns are emerging.